Owen Spencer-Thomas : Journalist, writer/broadcaster, media consultant. 4 What makes a story newsworthy? 5 So do you have a story to tell the press? News journalists usually describe what they write as sto­ries. They’re storytellers and they want their readers to read their work. If they don’t, then there’s little point in writing it. Their story must be newsworthy. But what makes a story newsworthy? Have you ever wondered why some people or events get extensive news coverage while others get none? Why, for instance, is it news when a 75-year-old government Minister of State falls sick, but not when your grandfather of the same age becomes unwell? Over the years journalists have developed a set of guidelines to determine what makes news. These are called news values. 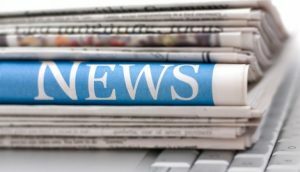 So, if you are planning to send out a press release to promote your business, you’re a citizen journalist writing news stories for a website or blog, or a student thinking of going into journalism, you’ll need to know what these news values are – in other words what makes your story newsworthy. Before you even begin to publish or write a press release, think of your intended readers. Ask yourself for whom you are writing and what makes your announcement a news story worth publishing. Your local newspaper or broadcast editor will have a clear idea of their target readership. But what else makes a ‘good’ story? What’s worth covering and what is not? News gets out of date quickly; it’s timely if it happened recently. But how recently? That depends upon the publication cycle of the news medium in which you want your story to appear. On a television rolling news channel events that happened during the past half hour are timely. In a monthly journal events that took place over the past 30 days are timely. Stories that are out of date are dismissed as “stale news”, and usually receive little attention. But this is not enough to make your story newsworthy. So is news always bad news? Well, no. Professional journalists are not all cynics simply looking for shocking stories. News is about the unexpected. We all hope for good news; it’s when events take a surprise turn – for better or for worse, that they become news. The famous New York Sun editor, Charles A. Dana said: “If a dog bites a man, that’s not news”, because it happens often, “but if a man bites a dog, that’s news!” Such stories have the element of surprise. They raise eyebrows, grab people’s attention and may make the front page. One simple guide for evaluating the value of a news story is to imagine yourself as the subject. Would it be the first story to catch your eye? Would you find it interesting? In other words, is it newsworthy? Events that affect many people: the more people, the better the story. For instance, an income tax increase may, at first sight, seem the basis of a dull article; but it has impact, because it will affect many people’s pockets. Closeness to home: most news organisations cover a specific geographic range. 2,000 job losses in Taiwan won’t get a mention in the UK. Twenty redundancies in Cambridge may well make the front page of the local paper. The success of your street party will be an essential story for your local parish magazine, but don’t expect any interest from The Taiwan Times. Stories involving well-known places, companies, groups or people, especially celebs. If you or I fall into a swimming pool with our clothes on, only our friends would be concerned. That’s because we’re not well known. But if the local mayor does the same at an opening ceremony, that’s a news story. People are interested in people, so personalise your story. You can improve a bigger story by giving it a human face. The politician advocating a policy may be more interesting than the policy itself. Stories about people or organisations at odds with each other. Information has conflict if it involves some kind of disagreement between two or more people. If you disagree with a competitor’s approach, you’re more likely to receive coverage than if you agree. Conflict has drama. Drama generates interest. Anything that goes wrong is potentially newsworthy, such as an industrial explosion, a motorway pile-up, or a school shooting. The press love instances of powerful people betraying their own publicly-stated positions. The councillor who takes bribes, the anti-gay rights politician who gets caught with a gay lover and the chairman of an animal shelter charity who’s seen kicking his cat are all likely candidates for a news story. Divorce, addiction, anorexia involving a celebrity make headline news in today’s tabloid newspapers. In some stories, there’s a “big guy” and a “little guy.” The media often see their role as defenders of the exploited and the oppressed. If you’re the little guy, you may get more sympathetic coverage. Journalists like superlatives: the first, the last, the biggest, the smallest, the best, the worst. Does your story contain one? Then highlight it. It’ll make it more newsworthy. Something out of the ordinary has more news value than something that happens every day. What deviates sharply from what you would expect and experience of everyday life, unusual, strange or wacky. Food, health, housing, schools, work, money problems. Events and situations that are currently in the news and being talked about. An interesting news story will contain some of these elements, but it’s most unlikely it will contain them all. So do you have a story to tell the press? Be careful with the “conflict” stories. Politicians, for instance, frequently debate their differences publicly. Unlike their business and commercial counterparts, they are free to air widely their views and beliefs in the media. But that makes them vulnerable to damaging press stories. A journalist, hungry for sensationalism, may be tempted to present harmless dialogue between party members as ‘a political party tearing itself apart’. Is that the image you want to convey? If not, take care when you speak out. In practice, the best newspaper stories don’t sensationalise or exaggerate, particularly those in the category of business, technical and scientific news. Never be tempted to bend the facts to attract more interest. News stories must be accurate and truthful. There’s a wealth of interesting everyday stories that can generate good publicity for their cause. Local press and radio are hungry for news of events, appointments, fundraising appeals and anniversaries. The national press often publishes strong, but sound opinion features, such as the merits of Government action or social policies. So be pro-active and keep in touch with the media whenever you can. Most professional journalists have a set of news values or criteria for judging what is newsworthy. Beware: if you don’t use the media, it may use you.